When it comes to cutting supplements, a lot of manufacturers promise the earth but actually deliver nothing more than an overgrown patch of dirt. In order to find a combination of supplements that will produce real, long term results you’ve got to look beyond the overblown promises and ripped freak images and focus on the science of stripping away body fat. In order to spare you the frustration, cost and health effects of putting sub-par supplements into your system, we’ve gone in search of 2017’s ultimate cutting stack. The result is, not one, but 5 high quality stacks that will work in tandem with intense training and smart nutrition to get you super shredded. Optimum Nutrition Men’s Weight Loss Stack consists of four products that synergistically combine to create the ideal anabolic environment for getting cut without losing precious muscle mass. Here’s what you get . . .
Gold Standard contains three different types of protein, which can be seen as three different steps in the processing whey protein. Whey isolate is simply the pure whey protein with the lactose and fat removed. This is achieved through a cross-flow micro-filtration, which is done at very cold temperatures. Whey protein concentrate is whey protein with the lactose and fat left in it. Whey peptides are proteins that have been broken down into smaller chains of amino acids. Within the protein blend make-up are contained 5 grams of the naturally occurring branch chain amino acids valine, leucine and iso-leucine and 4 grams of glutamine and glutamic acid. The flavorings used to provide the amazing array of flavors that Gold Standard offers are Ace-K and Sucralose. Previous versions of this product contained aspartame, but this has now been removed in favor of these more natural sweeteners. Amino Gen is Optimum Nutrition’s own brand of enzymes to help break down the proteins. Lactase is designed to help break down the lactose contained in the whey protein concentrate. This is included to help people who have problems in breaking down lactose. Conjugated Linoleic Acid (CLA) has been scientifically shown to boost metabolism and improve muscle definition. Each softgel capsule of Optimum Nutrition CLA Softgels delivers as much CLA as you’d get from 6 pounds of beef. Amino energy is a smart blend of caffeine and amino acids to deliver a potent energy boost for your training. It also contains beta-alanine to reduce fatigue and prolong your training endurance. This product will ramp up your metabolism before, during and after your workout. Jetfuel Superburn contains 14 powerful active ingredients including black, white and green tea, ashwagandha and caffeine. These provide a potent fat oxidizing catalyst along with a lasting energy to fuel your training. GAT Jetfuel Accelerator gives you a stimulant free way to accelerate fat loss with the addition of Acetyl-L-Carnitine, choline, raspberry ketones and cayenne pepper. GAT Amino GT throws in 8 grams of amino acids, including 5 grams of BCAAs in the ideal 2:1:1 leucine, isoleucine, valine ratio. Finally, GAT L-Carnitine delivers an ongoing energy boost and ups the thermogenic effect. 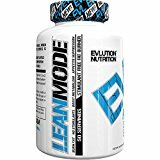 Evlution Nutrition Trans4ormation Mode Stack provides a double whammy of fat blasting potency with the combination of Evlution’s LEAN MODE and Trans4orm. Together they provide you with a natural form of clean training energy and laser like focus, while also burning maximal fat levels, controlling the appetite and reducing food cravings. Stacking these two products together throughout the course of your day will provide you with an ongoing boost to your metabolism, for 24/7 fat burning, increased energy and focus and appetite support. Infinite Labs Carnitine MTX makes use of the unique ability of the amino acid carnitine to enhance metabolism and speed up the fat burning process. It combines 5 different types of carnitine to boost bioavailability. Infinite Labs Final Form is a stimulant free metabolic optimizer. It contains such proven metabolic boosters as CLA, L-Carnitine, and raspberry ketones. It will induce thermogenesis, suppress the appetite, and stimulate ketogenic fat burning. Infinite Labs FINAL CUTZ ramps the fat loss even further, while also producing increased focus and concentration. It includes Acetyl-L-Carnitine for enhanced lipid transportation as well as a lipid oxidation complex to control the appetite. The Women’s Fat Loss 40+ Stack by Jamie Eason provides a complete fat stripping arsenal for the active woman. Here’s what you get . . .
Whey protein isolate provides you with a super fast delivery system to ensure that you’re able to maintain an anabolic environment while you’re losing body fat. There are no artificial additives or added flavorings in this protein blend. The Signature series Multi-Vitamin beefs up the micronutrient content of female friendly compounds such as iron, and vitamins C and D. It also provides complete digestive support, making it very gentle on your stomach. FitMiss Tone is a CLA based fat loss supplement that combines key antioxidants to produce a powerful fat burning effect. It is stimulant free, so will not cause any jittery after effects. Krill Oil and Dymatize Elite Creatine will maintain optimum health while maximizing your ATP energy stores. Why do you need a cutting stack when you can get a perfectly good cutting supplement for a whole lot less money? Fat burning supplements can do a good job of boosting your metabolism to burn calories, increase fat oxidation and even increase your energy. However, if you’re after the best possible physique, you need to take a holistic approach. If you solely focus on stripping off body fat, you will inevitably lose muscle tissue. Fueling your muscles with quality protein, amino acids and fish oil will prime your body’s fat burning furnace, your muscle cells. It will also make sure that your hard earned muscle doesn’t melt away with the fat. A quality cutting stack will increase your metabolism up to ten percent per day. This is very effective when you’re on a low calorie diet. When you’re burning maximum calories through exercise while taking in the least amount of calories your body can consume through diet is when fat burners can be most effective. Cutting stacks also have a diuretic effect which can lead to water loss. It’s really important to increase your water intake when taking a fat burner. Aim for one to two gallons of water each day. The stack will also suppress your appetite by manipulating your brain’s neurotransmitters. You will experience an increase in your heart rate when you stake a cutting stack. It will also cause you to start sweating sooner into your workout. Stimulant heavy fat burners can also cause headaches and tremors. People with high blood pressure and heart conditions should not mess around with fat burners. Cutting stacks are so effective because they stimulate the body to rev up it’s fat burning engine. They are designed to promote the process of lipolysis in the body, which is essentially the process by which fat is broken and used as energy. In addition, they act as central nervous system boosters. This last effect can cause a jittery, wired feeling which many people find disconcerting. They are also likely to give you an energy boost for your workout. If they are stimulant based, however, you will inevitably experience a post-workout crash after the workout. Fat burners will give you an energy boost, but it will not be permanent. So, make sure that you get plenty of rest while taking your fat burner product. The world’s most popular stimulant does an effective job of stimulating the production of adrenaline to produce an immediate energy boost. It has also been shown to boost the levels of fatty acids in the blood, making them more readily available as an energy source. According to a 1990 study, which was published in the American Journal of Clinical Nutrition, caffeine has the ability to push up the metabolic rate by between 8 and 11 percent over a 12-hour period. Recently, though, there’s a been a movement away from caffeine due to its tendency to produce a wired, buzzy effect and to produce a massive energy crash. As a result, non-stimulant fat burners have become increasingly popular. Conjugated Linoleic Acid (CLA) is a fatty acid, primarily found in beef and dairy products, that is being shown to promote long-term fat reduction and health management. Lab and clinical studies have also revealed that CLA also promotes muscle tone as well as reducing cholesterol levels and boosting metabolism. Essential fatty acids (Omega-3 and Omega-6) do wonders for our bodies. They are essential for strong bones, absorption of fat-soluble vitamins, energy production, skin texture, and fat burning. Although often referred to as an amino acid, Carnitine is actually an amino-like compound that is formed in the body by the amino acids lysine and methionine. Carnitine (which comes from the Latin word for meat) is abundant in red meat, dairy foods, nuts, grains and green vegetables. Carnitine assists the body to transport fat into the mitochondria of cells. Green Tea Extract is extracted from the leaves of the green tea plant. This extract is high in such antioxidants as polyphenols and catechins. It also contains caffeine. These compounds induce thermogenesis, speed the metabolism and encourage fat oxidation. We’re used to associating nicotine with the ill effects of smoking. However, there’s more to nicotine than that. Found naturally in such plants as peppers and eggplant, it actually mimics the actions of the chemical acetylcholine. As a result, nicotine is able to stimulate the production of both adrenaline and dopamine. These hormones boost the metabolism for enhanced fat burning. In one study, people who supplemented with nicotine were able to, without making any changes to their diet of lifestyle, lose 1.3 kg over 90 days. Don’t forget that your supplementation program is just that – a supplement to a sensible nutrition program. If you don’t nail what you eat and drink, the best cutting stack in the world will be a total waste of money. Here’s how you need to eat for maximum fat loss while also preserving your muscle mass . . . Nothing but water! That’s no coffee, no wine, no energy drink or fruit juices – and most definitely no sodas! All of these drinks are packed with calories and preservatives. Eat plenty of green, leafy vegetables, other vegetables of a variety of colors, some fruits, nuts, and lean meats. You’ll be eating 500 calories below your daily maintenance calorie intake per day. Calculate your maintenance level here http://www.calculator.net/calorie-calculator.html Once you have your daily caloric total, divide it by 5. You will be eating 5 small meals per day, spaced three hours apart. Each meal will have the same calorie count. Reducing your carbohydrate intake while upping your protein consumption will increase your metabolism, control your appetite, regulate your blood sugar levels and get on top of your insulin output. A macronutrient breakdown of 25% carbs, 50% protein and 25% fats is ideal for fat loss. This is hard work – the carbohydrates you’ll be taking in each day will only be around 175 – 250 grams. Your diet will consist of mostly lean protein and fibrous vegetables. The best cutting stack on the 2019 market is Optimum Nutrition’s Men’s Weight Loss Stack, with its powerful combination of whey proteins, conjugated linoleic acid, nutrient optimization system and amino acid, caffeine blend. 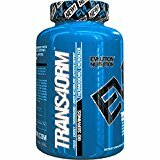 Taken in conjunction with the nutritional guidelines provided here and intense fat scorching workouts, it will help you achieve that super ripped look faster than anything else we’ve come across.